Do I Need to Attend a Residential Rehab Facility? Are Tussionex Rehabs Private and Confidential? How Long Does Inpatient Tussionex Rehabilitation Last? Is the Addict Ready for Treatment? Tussionex is used to suppress coughing, pain, and other symptoms of allergies. Tussionex contains narcotic ingredients that are highly addictive, and some patients may become unintentionally addicted. The Centers for Disease Control and Prevention states that 40 people die every day in America from painkiller overdoses. Substance abuse and addiction can cause many long-term health hazards, and one overdose can be fatal. Anyone addicted to Tussionex should get professional help immediately. Leading benefit of choosing an inpatient Tussionex rehab center are the professional staff and assistance provided. There are medical professionals and highly trained personnel to help with the battles an addict will undergo throughout treatment. Professionals will assist with the detoxification process and keep the addict safe. 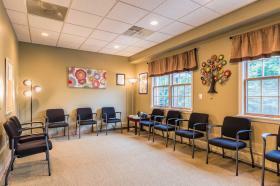 An outpatient clinic will require the addict to attend all meetings and sessions. With outpatient treatment, the addict will have to deal with addiction in a community where there is access to Tussionex, and this can be difficult. Both treatment options often require testing and therapy. Call 1-888-341-7785 for more information. A patient who has used the medication only as directed by a physician, and who doesn't misuse the drug, could be successful with an outpatient treatment program. An addict who took the medication more often than needed, or who will do anything to get a large amount of the medication, should opt for a residential program. This prevents access to the drug and the temptation for the addict to purchase it off the streets. Over time, the body may accumulate a resistance to Tussionex. Thus, the addict must take more to get high. This is considered tolerance. Dependency is when the body has withdrawal symptoms in absence of the drug. Private rehabilitation centers are available for patients who want to conceal their true identities. The patient should call in advance to make these arrangements. The patient will use an alternate name throughout the program. Patients can request a private room throughout their stay at a Tussionex treatment center. Visiting guests should be informed of this alternate identity to maintain the patient's privacy. All workers and medical professionals working in a treatment center are required to sign nondisclosure agreements for patient confidentiality. Ask about this policy before choosing a treatment center. The duration of treatment will depend on the addict. All substance abusers are different, and each may choose a different program. Short programs will take from 28 to 30 days. Addicts who need more time for recovery can attend for 60 days. There are 90-day programs and even longer ones for those who need more time. Some addicts will need to extend their time in a Tussionex rehabilitation facility after their first session; others may consider decreasing their time. This will all vary on the progress (or regression) the patient demonstrates. Get more details at 1-888-341-7785. If you or someone you know is battling a substance abuse problem, get help right away.The intake process if the first part of a Tussionex rehab program. The addict will be tested for drugs. This test tells the medical staff if the addict can go straight to rehab or if detox is needed first. Detox will postpone the treatment for a few days. This allows the addict to get clean. The addict will be evaluated, and a treatment program will be chosen. The addict will sit with a mental health professional for therapy and also join therapy groups. Throughout the program, the addict will learn the dangers of addiction, how to fight it, and how to live outside of rehab. At the end of the program, the patient will be evaluated again. More treatment may be recommended. 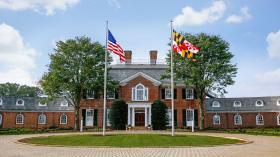 The cost of addiction treatment at a rehab facility will be different between establishments. Your insurance company may pay for some of the treatment costs. Speak with your insurance provider before entering rehab. Financing options could be a possibility for those without insurance. An addict may want to be close to their members and friends during this time. If this is a need, the addict should stay close to home. If temptation is too much when being around old friends who are also users, the addict should keep a distance from these people during rehab. 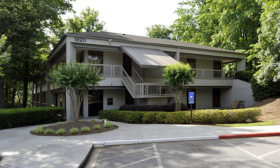 If business-related duties are stopping you or someone you love from looking for care for a drug use issue or behavioral addiction, executive rehabilitation centers may be what you need. By leveraging top-rated substance addiction and behavioral treatments with the flexibility of computer and mobile access, a business person can get assistance in comfort and seclusion. Often, current illicit substance and behavior addiction treatment clinics furnish the top-shelf amenities you would only expect to find in America's best hotels, with your comfort and health being the areas of focus. From housekeeping services and in-house massage therapy to gym facilities and private rooms, you can get the highest-quality substance addiction and behavioral treatment for yourself or someone you love while taking it easy. For assistance in locating the best-rated luxury treatment centers for Tussionex addiction, dial our no-cost helpline at your earliest convenience at 1-888-341-7785. Many addicts will struggle to stay clean after leaving a Tussionex rehab facility. This is why addicts should continue with outpatient therapy. The addict should check in regularly with health professionals and get support from family and friends. Adults have to go to treatment on their own. Only a legal court order or medical incident can force an adult into rehabilitation. If the addict has expressed an interest in changing their life and wants to get sober, that person is ready for treatment. Minors can be forced into rehab by parents or legal guardians. Get the facts at 1-888-341-7785. Interventions. Be prepared before you sit down with an addict. You must learn how to handle the addict, how to approach the situation, and how to convince the addict of the problem. A medical professional can help you approach an addict about getting treatment. Providing proof of the addiction is a great way to address the issue. A Brandeis University study has stated that teens are twice as likely to get high from prescription medications than other recreational drugs. Presenting the empty prescription bottles is proof you know of the addiction. Assessment and intake. The addict has to be sober to start therapeutic treatment at a Tussionex rehabilitation center. Centers will test addicts as they arrive. Addicts who show drugs in their systems will go into detox. Addicts who are clean will start rehab immediately. Inpatient treatment vs. outpatient treatment. At an inpatient center, the addict can be monitored at all times. There is no access to Tussionex or any other illegal or addictive substances, and there are supportive people around constantly. Outpatient care is a better option for addicts who have already completed inpatient treatment. Treatment methods. There are many treatment options for addicts. A program with steps and milestones to work towards, such as a 12-step program, is often a great choice. This gives the addict goals to aim for and a feeling of accomplishment when each step is completed. Others may choose a more holistic form of treatment based on faith and spirituality. Talk with someone at a Tussionex rehab facility to see what programs are offered. Creating a sober lifestyle after a Tussionex rehab program. An addict must want to stay sober after treatment. It may be best for the addict to stay with a close friend or relative to be monitored and for support. Outpatient therapy sessions or personal sessions with a familiar health professional can help the patient stay clean.Learn more about treatment methods at 1-888-341-7785. Tussionex addiction treatment facilities can help anyone get sober. There are many methods that benefit addicts throughout their struggles. If you or someone you know is battling a substance abuse problem, get help right away. It isn't uncommon to become addicted to a prescription medication. The Centers for Disease Control and Prevention has reported that the use of prescription medications in America has risen 300 percent since 1999. This leaves many Americans at risk of developing an addiction. Long-term use of Tussionex can lead to a substance abuse problem in people of all ages. Get more Tussionex rehabilitation treatment information by calling 1-888-341-7785 today.